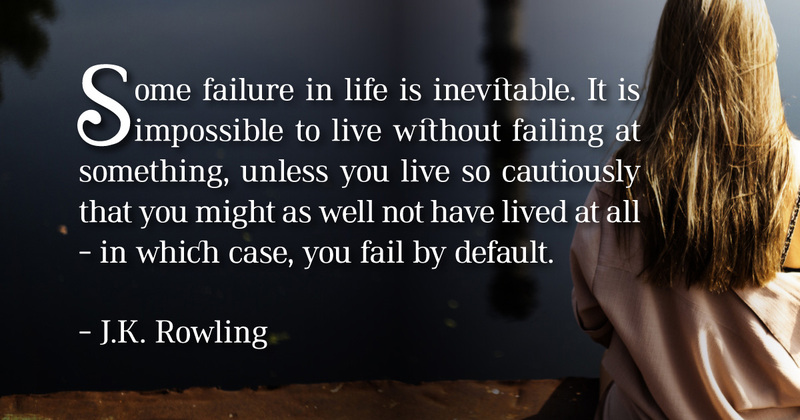 When looking for a daily dose of wisdom, especially in times of trouble, one can’t overlook J.K. Rowling’s quotes from her 2008 commencement speech to a Harvard graduating class where she was talking about the importance of imagination and failure in shaping her life. 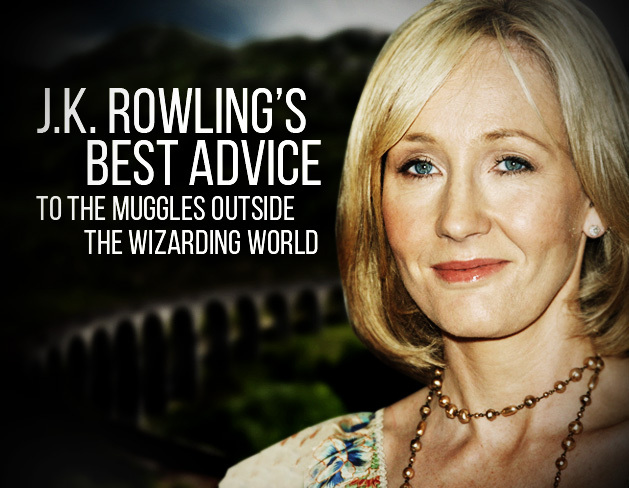 As a true survivor, renowned philanthropist and advocate of tolerance, J.K. Rowling proved that she’s got some important things to tell to the muggles outside the wizarding world. Her words, which she delivered to some of the most elite students in the world, went beyond the usual career cliches and became powerful messages for everyone who is facing some setback in life or thinks that the failure is the worst thing that can happen to them. But the road to success wasn’t without her fair share of hardship. 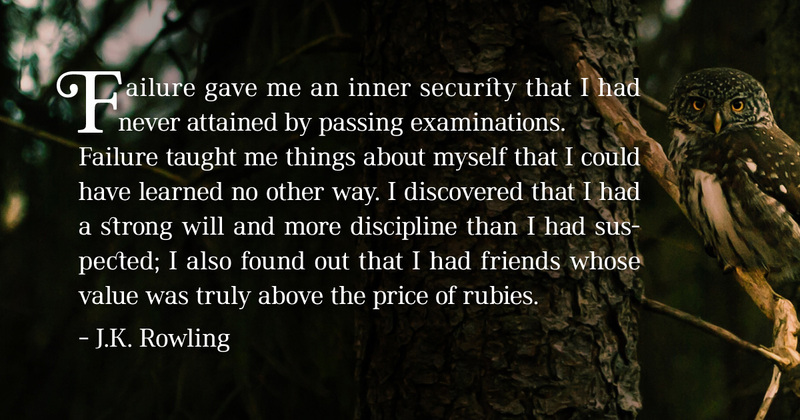 Rowling said during the Harvard commencement speech. At that point, she became clinically depressed and that feeling of numbness, despair and grief inspired her to later create Dementors, soul-sucking creatures that live off of people’s worst fears, in Harry Potter series. But she discovered that the failure could be liberating. 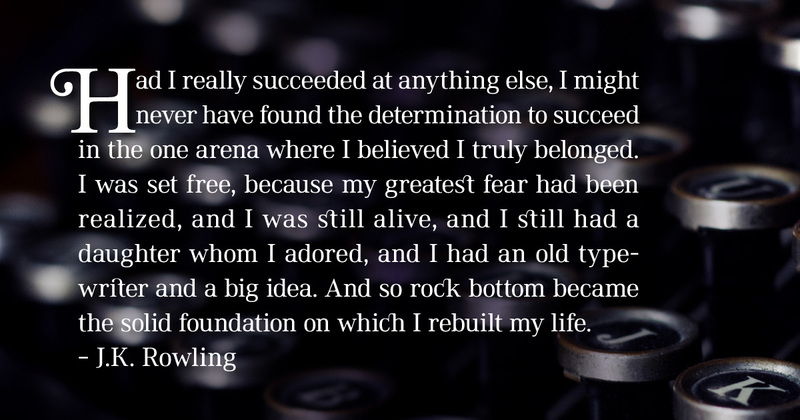 It only inspired her to keep going after the thing that she wanted the most, and that is to be a writer. And at the end of her quest, as well as at the end of her Harry Potter series, she found out that love is the true meaning of life and the only thing worth living for. Very powerful message, don’t you think so? 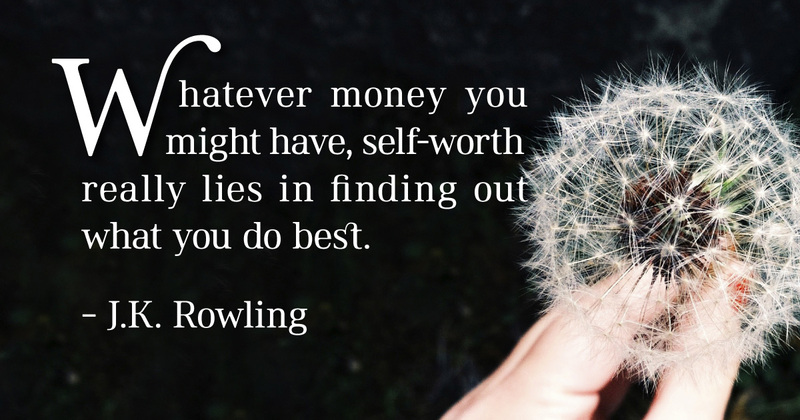 These days J.K. Rowling, one of the bestselling authors of all time and one of the richest women in the world, donates millions to charities because she knows how it is when you hit rock bottom. 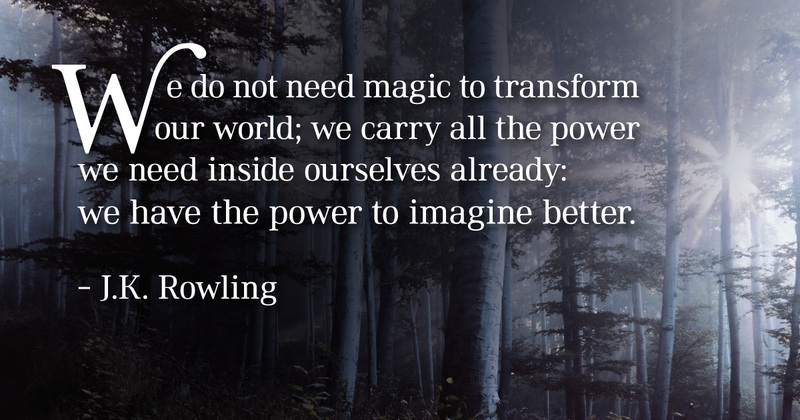 Here you will find inspiring J.K. Rowling’s quotes that will help you overcome adversity and bring you just a little bit of magic in your life. If you have a dream but keep running into obstacles or just going through tough times, this positive words will sparkle your day and convince you that all is not so bad and that every new day brings new possibilities.